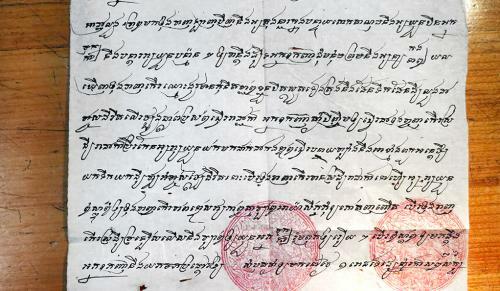 A YaleNews piece highlights GSP founding director Ben Kiernan’s discovery of rare 19th-century Cambodian-language texts while working in the French colonial archives in Aix-en-Provence. The manuscript, dating back to the onset of French colonialism in the 1880s, appears to indicate an effort to organize resistance against the imposition of foreign rule. Almost all documents written in the language were known to be destroyed by the Khmer Rouge regime between 1975-1979.